This includes lunch, dinner and golf for 4 participants. This includes lunch and dinner for one golfer. 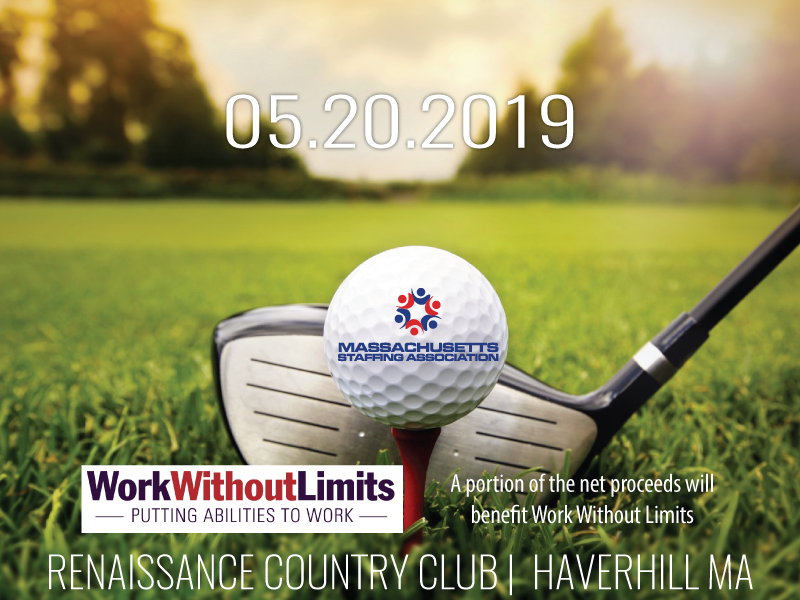 On May 20, 2019, we will be hosting our Annual Golf Tournament and Silent Auction at The Renaissance Country Club in Haverhill MA. We anticipate approximately 150 guests from the staffing and recruiting industry at this function. This is an excellent opportunity to network with executives, and principals of the staffing industry. Interested in Sponsoring the MSA Golf Tournament?